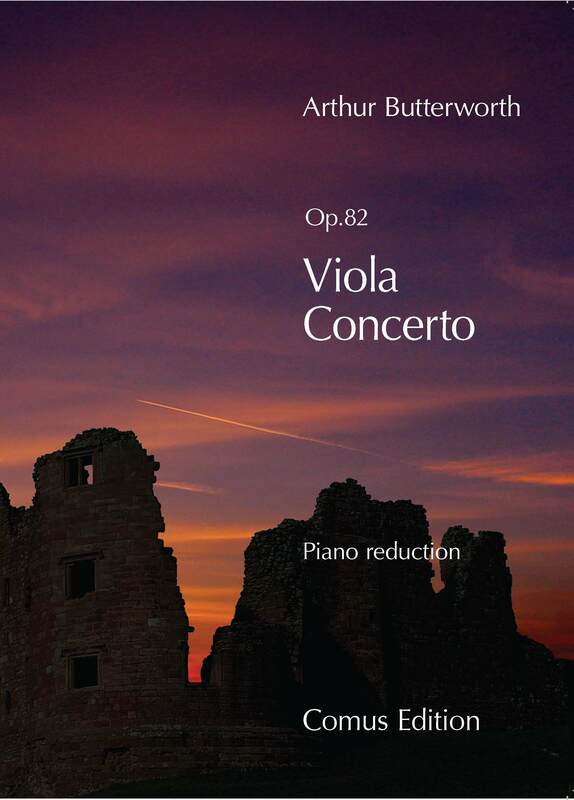 This new edition of the 6th Concerto with scordatura violas in lieu of the less frequently available viole da gamba has been edited and arranged by the New Zealand Doctoral Scholar and Violist, Andrew Filmer. 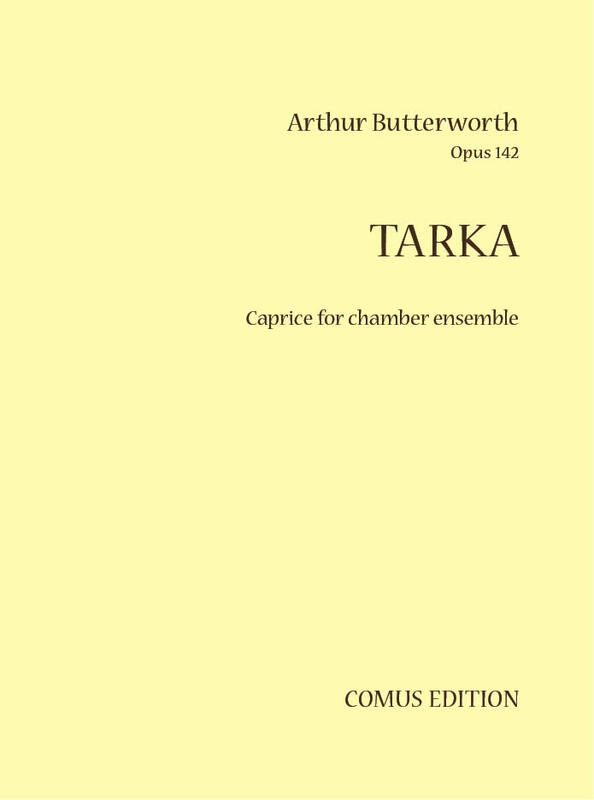 He has provided an extensive commentary to accompany the score and makes a persuasive case for the use of scordatura violas in chamber performances of this work. 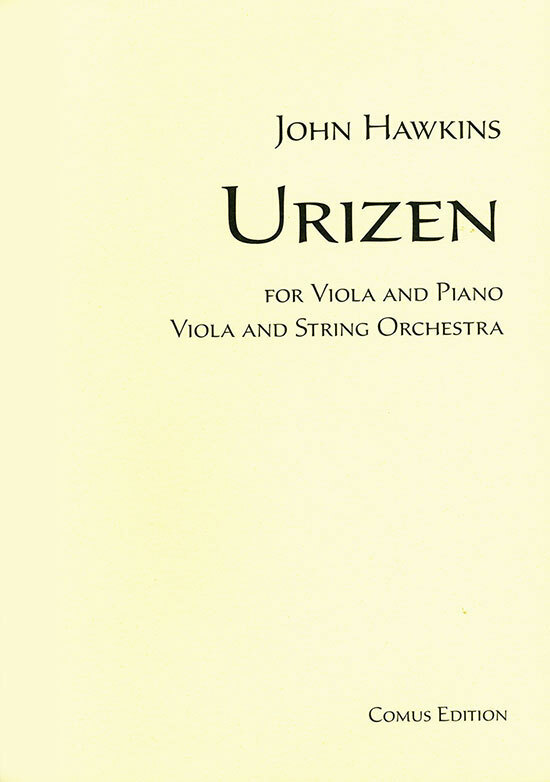 A performing score with accompanying parts is available for hire. Contact us for details. Hear a performance on YouTube. The concerto has been recorded by Sarah-Jane Bradley with the Royal Scottish National Orchestra conducted by the composer. In the early 1950's Butterworth was a trumpet player with the Royal Scottish National Orchestra when he met and married Diana Stewart. He had yet to make his name as a composer. It was when he then joined the Halle Orchestra that Sir John Barbirolli's encouragement resulted in the premiere of his first Symphony at the Cheltenham Festival. 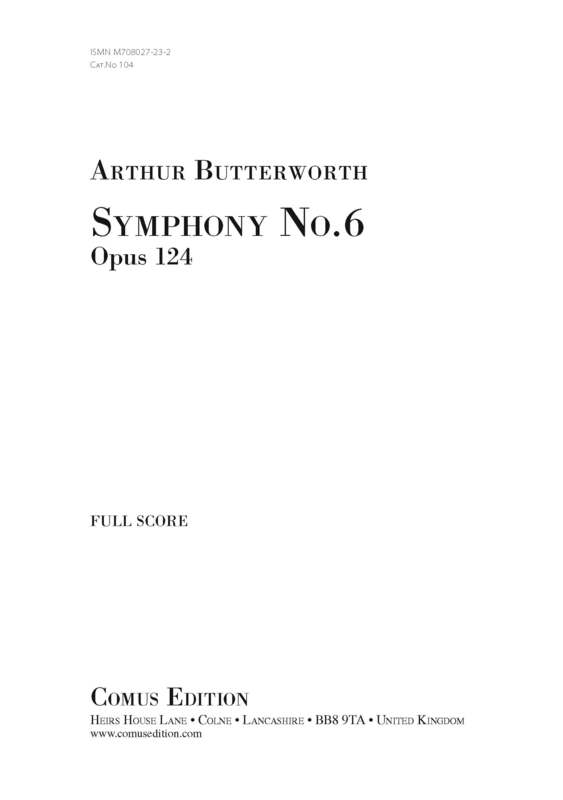 This performance in 1955 established Butterworth as a significant British symphonist. The Symphony is dedicated to Diana. 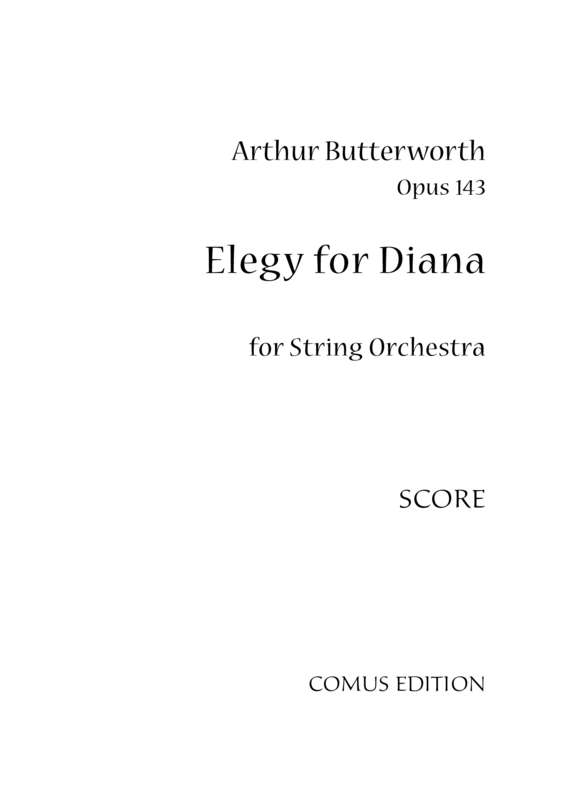 The 'Elegy for Diana' is a short work for strings and one of the composer's last completed works. 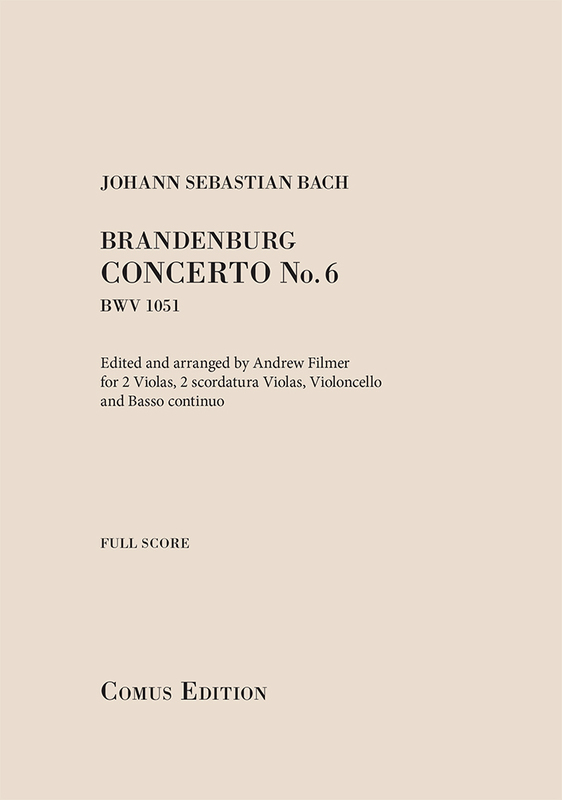 A slow yearning introduction leads to a Passacaglia, a musical form which perhaps references his admiration for the music of Brahms, one of his earliest musical influences. 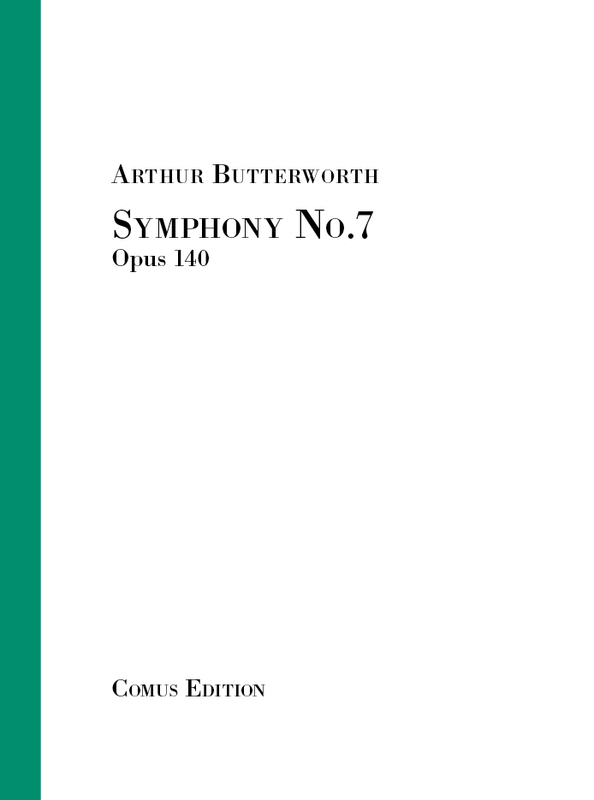 Butterworth's own comment about the work – "This Elegy, unlike the flamboyant Symphony for large orchestra, is but a short expression of farewell." Five colourful and evocative pieces - ‘Through Crowded Streets’, ‘Bicycles in Summer Rain’, ‘Boys on the Beach’, ‘Summer Evening’ and ‘Tuscan Diary’. 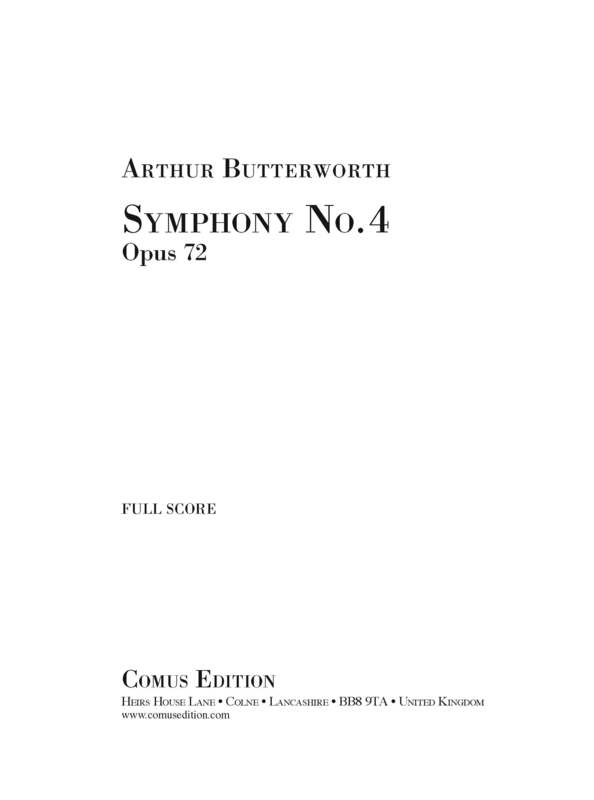 The work was written for the Sussex Symphony Orchestra who have recorded it for Claudio Records (CC4833-2). Scored for string orchestra (3,3,2,2,1) and wind quintet (flute, oboe, clarinet – optionally doubling alto saxophone, horn and bassoon. ISMN M708017-75-2 Cat.no.025b Score and 16 parts p.o.a. A tuneful and engaging work in three movements, scored for solo soprano and alto saxophones with double wind (omitting clarinets), two trumpets, two horns and strings (3,3,2,2,1), and with optional percussion and a few added notes on the tuba. The concerto, together with other works of Paul Carr, has been recorded by the Sussex Symphony Orchestra on the CD "Crowded Streets", Claudio Records (CC4833-2). 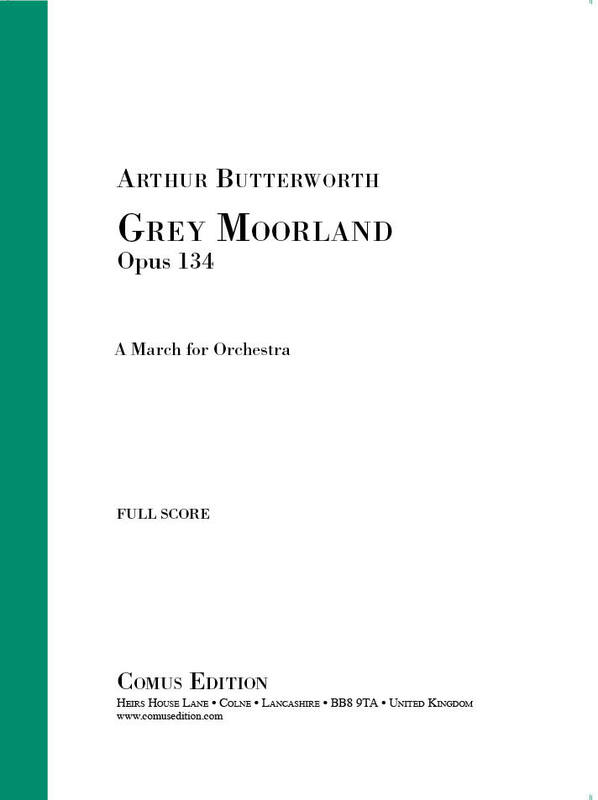 Sample pages of the score can be viewed by clicking on the cover image. For a more complete view contact us for a link to display the score on your computer or iPad. The full score can be purchased and the parts are available on hire. 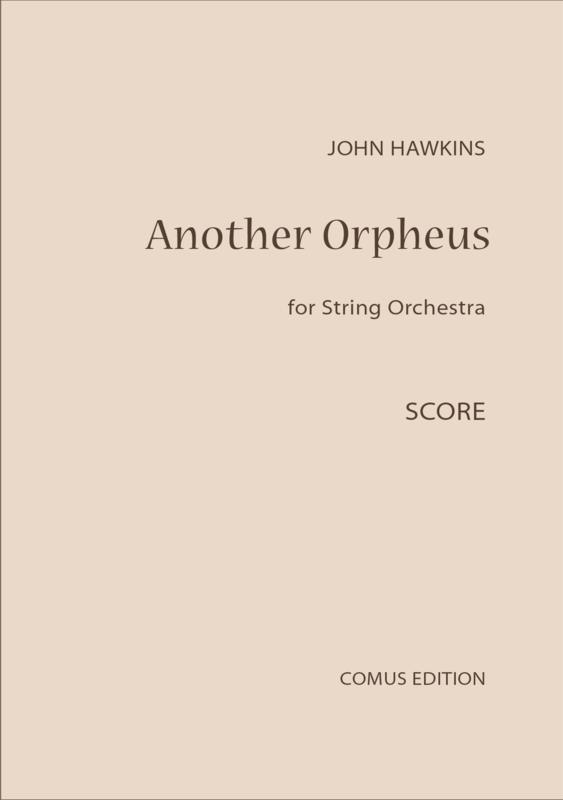 Composed in 1993 and revised in 2014, Another Orpheus is a dramatic single movement for strings with obligato viola solos. A single movement work inspired by William Blake's prophetic book. 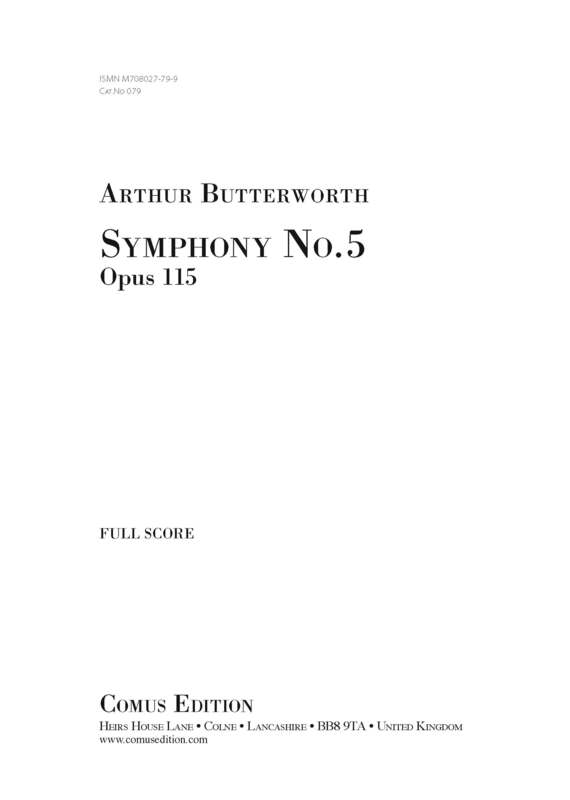 Composed in 1983 for Paul Silverthorne, it was later scored by the composer for viola and string orchestra (Vla + 4,4,3,3,2), and more recently for viola and chamber orchestra of strings with alto flute, oboe, clarinet, bass clarinet and 2 horns. Please contact us for more information. An approachable work in three movements. Well worth your consideration. Scored for a standard classical orchestra, the concerto consist of the usual three movements, Allegro, an expressive Adagio and a Rondo. 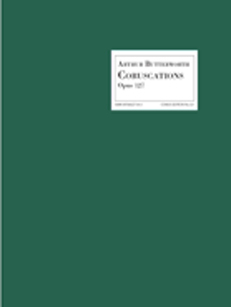 The work has been edited by Christopher Wellington who has provided cadenzas – one in the first movement and two in the last; they are technically a little harder than the concerto itself. Set of parts for 2 oboes, 2 horns, solo viola and strings (5,5,4,4). Extra parts available if required.